Update: The following items are sold and I have closed my ArtFire shop. I have an ArtFire shop under the name Wilderness Crafter. Currently I’m focused on de-stashing and sending no-longer-needed items off to new homes. 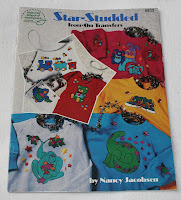 It occurred to me that I have a few things in my ArtFire shop that are perfect for kids! So I’m giving the info and links here. As the items find new homes, I’ll update this post. 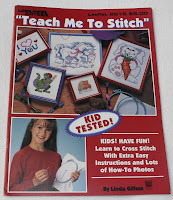 Teach Me to Stitch is 22 pages with easy step-by-step instructions for 15 beginner cross stitch projects plus full color diagrams and photographs. 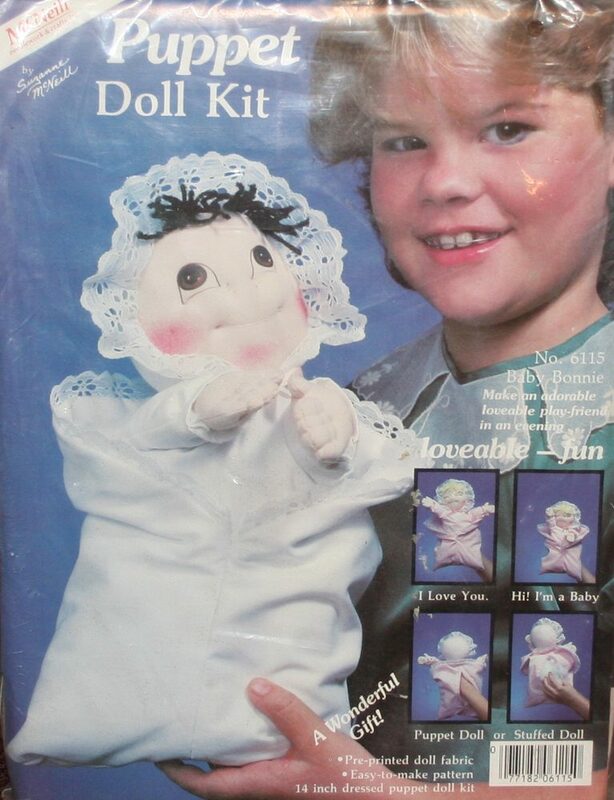 Baby Bonnie is a hard-to-find McNeil Puppet Doll kit from 1984 (which makes it “vintage” – how cool is that?) Bonnie is 14 inches tall and can be a puppet or a doll. The kit is unopened and contains everything you need except for thread, scissors and stuffing. 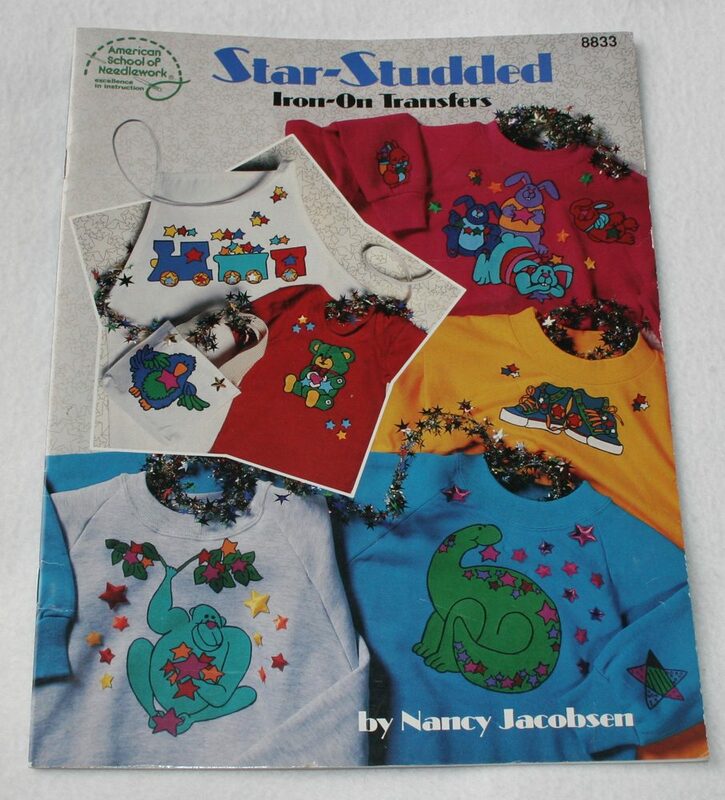 Star Studded Iron-On Transfers are super cute designs for use on kids’ clothing but would also be perfect on a crayon quilt or other project. 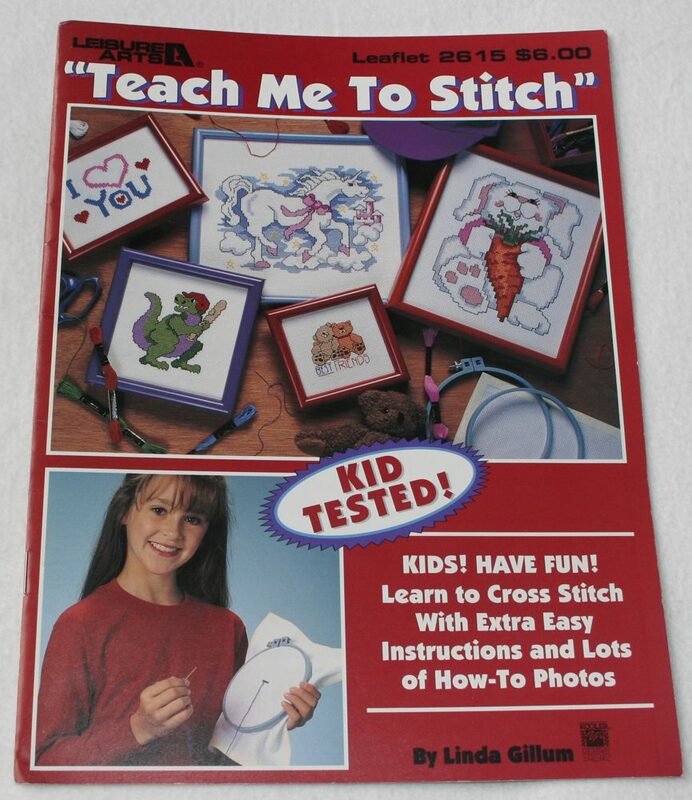 Although designed for use with fabric paint and markers, you could use the transfers for traditional embroidery or as hand or machine-sewn applique patterns.